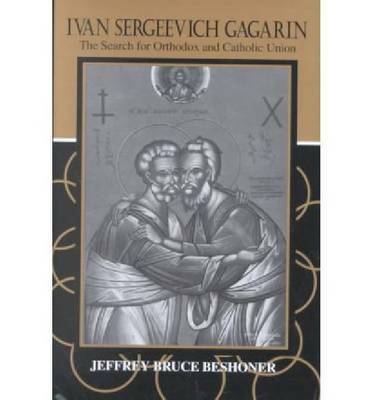 Ivan Sergeevich Gagarin analyzes questions of nationality and religious identity in nineteenth-century Russian history as reflected in the life of Jesuit priest Ivan Gagarin. A descendent of one of Russia's most ancient and politically powerful families, Father Ivan Gagarin, S.J. (1814-1882) dedicated his life to creating a union between the Orthodox and Catholic churches that would preserve the dogmatic and traditional beliefs of both. Traditional understandings of Russian identity have emanated from the perspective of the dominant Orthodox religion; this captivating study uses the unionist work of Gagarin to illumine Russia's national identity from the perspective of Roman Catholicism. Seeing his unionist proposals as necessary for the preservation of Russian stability, Gagarin found himself in frequent opposition to the Orthodox Church. While Gagarin believed that Church union would preserve Russia from the threats of communism and revolution, the Russian Orthodox Church believed that union would mean the sacrifice of religious truth, ecclesial independence and religious orthodoxy. Jeffrey Beshoner's even-handed analysis reveals that the Roman Catholic Church presented its own share of barriers to attempts at church union. Ivan Sergeevich Gagarin examines Roman Catholic attitudes of superiority vis-a-vis the Orthodox Church and argues that the nineteenth-century Roman Catholic Church simply did not possess the humility or respect for Eastern beliefs that church union required. Despite the failure of his unionist activity, Gagarin exerted important influence on such contemporary and later Roman Catholic and Russian thinkers as Pope Pius IX, Alexei Khomiakov and Vladimir Solovev. As the collapse of communism has permitted Russia to again seek its national identity in Russian Orthodoxy, Gagarin's ideas and perspectives on the relationship between national and religious identity continue to prove relevant. Beshoner s presentation of Gagarin is valuable and extensive. It gives us another historical example of a division within Christian experience that still troubles many. Journal of the American Academy of Religion"